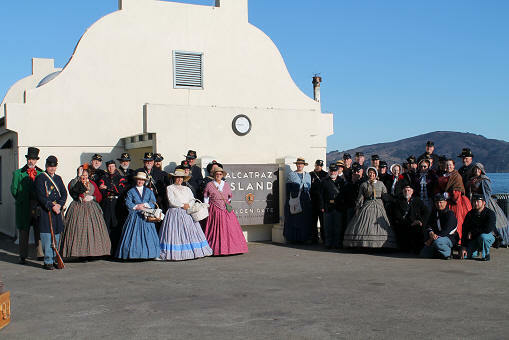 You are invited to become a member of our organization, and help us in our mission to “provide support to the National Park Service in educating the general public on the Civil War experience 1861 - 1865 on Alcatraz Island.” As a volunteer on Alcatraz, you will become part of the team of Park Rangers and Parks Conservancy staff who are committed to interpretation of the island’s history, the conservation of its structures and resources, and the protection of the island’s wildlife. 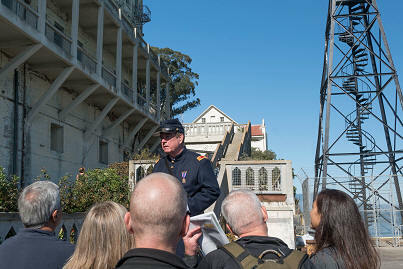 You will be able to give tours of the underground citadel, the “secret tunnel”, and the chapel. 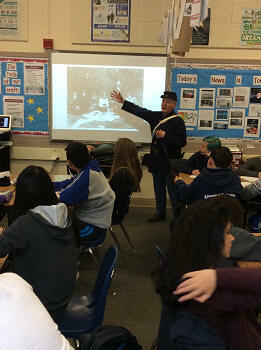 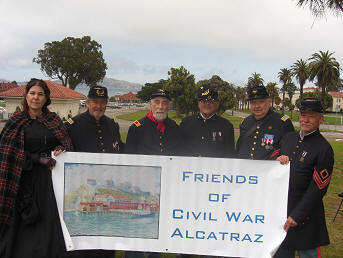 With training you can do Civil War program tours and cannon drills, and you will meet people from all over the world who want to hear the history of Alcatraz.